How I came to the decision to close Da Wanda shop…. In 2012 I compared my selling experience on etsy.com vs dawanda.com. At that time the prospects of selling at dawanda.com looked bright. In the years 2013 through 2015 I made quite a few sales on this German platform. Not only German customers but also a number of Dutch buyers could find my jewelry through this site. The only thing which could be improved was the average sale value. Most of my pieces sold on Dawanda were priced at around 30 euro. Probably because they were falling into the most popular price range according to the dawanda’s search algorithm: between 25 and 50 euro. In June 2014 Dawanda increased the commission fee for the English platform only. The sellers on the German platform kept paying 5% commission, though they had to pay listing fees. On the other hand, the German sellers had other benefits such as promotion. These benefits were not offered to the sellers on other platforms. Dawanda introduced different fees for different seller categories too. Such as the 12% category (now replaced by 11%): the shops paying it always landed on top pages in the search. Besides this multifee system there is also different legal treatment. Shops from different countries have to comply to different legislations as to the consumer rights and protection. While the Germans have to respect their strict national rules, the sellers from other countries are exempt from them. Lack of uniform rules and transparency caused numerous discussions about discrimination and rumors of ‘secret search algorithms’. This multi-treatment system is discriminative. In my opinion, it also caused extra administrative work and more costs for the whole site. As a result, less funds were available for technical and commercial development. There was never a possibility to see the email address of the buyer. The only way to get it was the PayPal payment data if the transaction was paid by PayPal. Up to 2016 the title and tags were limited by a number of characters: 15 characters is not much. The scrolling on Dawanda pages was – and still is – extremely slow, which means that their server capacity is insufficient. The number (4) and the resolution of images was lower than on any other comparable platform. Instead of using a simple cancellation button a seller had to write a letter to Dawanda to cancel a sale. The community (beyond the German speaking part) was not as lively as on etsy. 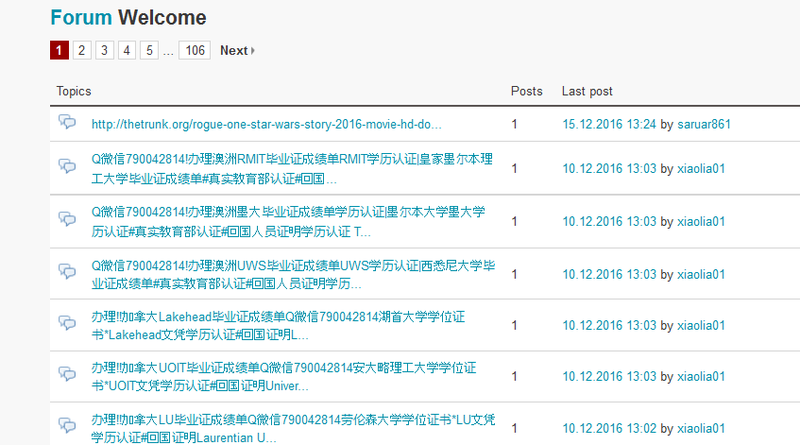 When you checked in a forum you saw the last signs of activity dated months earlier. From May 2016 my shop experienced a significant downfall in views and sales. I discovered that the title and tag mechanism at dawanda had been updated. Longer titles and more tags were allowed. After adjusting my title and tags the views went up and down again, but the sales were still missing. Later I read on a forum that many shops have seen the same trend. According to this blog dawanda has been one of the big losers of 2016 as to searchability in free google search system. Dawanda probably cut drastically on the paid advertising at google. Dawanda shops were found as far as page 3 in google searches. After a completely sale-less holiday season 2016, just before the New Year an announcement from DaWanda came.To level out all platforms – which was a good idea in itself – dawanda introduced listing fees of 10-20-30 eurocent valid for listing an item during 120 days. Every item priced 20 euro or more is considered ‘expensive’ and costs 30 cents. 98% of my silver jewelry fall into this ‘expensive’ category. Etsy has the same system. But here all the listings cost the same: 20 USD cent. But….dawanda came with something big, really big. A commission fee of 9,5% unknown on any other similar platform. Etsy charges 3,5% only. As a trade off dawanda offers a dawanda wallet. Etsy has introduced this direct checkout system too, working more or less on the same principle as PayPal: 4% of payment commission plus 30 cent plus an unfavorable exchange rate if your proceeds have to be converted in euro’s. Here you can see that DaWanda will leave me with less revenue, even theoretically. But there is one important thing to keep in mind. There have been no sales in my Dawanda shop since October 2016, thus no revenue. Without sales, there will be just listing fees of 30 euro per each quarter. Keeping a Dawanda shop would be not economically feasible for me. After having calculated the negative impact of the new Dawanda price policy on my shop I decided I needed more arguments to close Dawanda shop. First I went to the forum on the English platform. It appeared that in December 2016 this platform suffered a major spam attack. The admins were probably busy working on the new fee system. Then I went to the German platform, which has always been the most active and informative part of the business (still nothing compared to etsy, but still). The sellers participating in discussions complained about missing functionalities, site instability, lack of response from the admins, bad price-quality ratio. Many German sellers were not amused that their commission fee was going up from 5% to 9,5% without any improvement in service. A small minority of them expressed relief that the site would be finally ‘cleansed’ from all house-knitters and DIY-grannies, forgetting obviously that Dawanda owes its name and business reputation to these DIY-crafters. Many shops – even more successful than mine – were deciding to freeze or to close their business. Then I peeked into the Polish platform since I know the Polish language. Polish shopkeepers were not happy either. They blamed the site for giving preferences to the Germans above anyone else. In spite of the fact that competition on Etsy is huge, there is one Etsy community. Not only big sellers but also small shops and craftsmen from all over the world, speaking one language, supporting each other. This spirit has never been present on dawanda. Different country platforms with different rules, speaking different languages, suspecting each other of getting preferences that they themselves do not get. Though some people on dawanda are really nice, there is absolutely no ‘we’ feeling. It reminds me of another (failed) European project. According to this information DaWanda has been operating with losses in 2015 and 2016. Minus 6,4 million euro in 2015. No wonder they decided to raise fees withouot offering extra service. I wonder whether we will see DaWanda going bankrupt in the short time. “Etsy, Inc. (NASDAQ: ETSY), the global marketplace for unique and creative goods, announced today that it has entered into a referral agreement with DaWanda, a privately held Germany-based marketplace for gifts and handmade items. As part of this agreement, DaWanda will encourage its community of buyers and sellers to migrate to the Etsy platform. DaWanda plans to wind down its operations and shut down its site on August 30, 2018.” read more here. Somehow I don’t mind this news. 1. It was expected 2. I closed my shop on time which saved me lots of fee costs and 3. Maybe I will have some German customers on Etsy again.